Beaumont-Hamel is a village in the Department of the Somme about 24 kilometres south-west of Arras and 10 kilometres north of Albert. 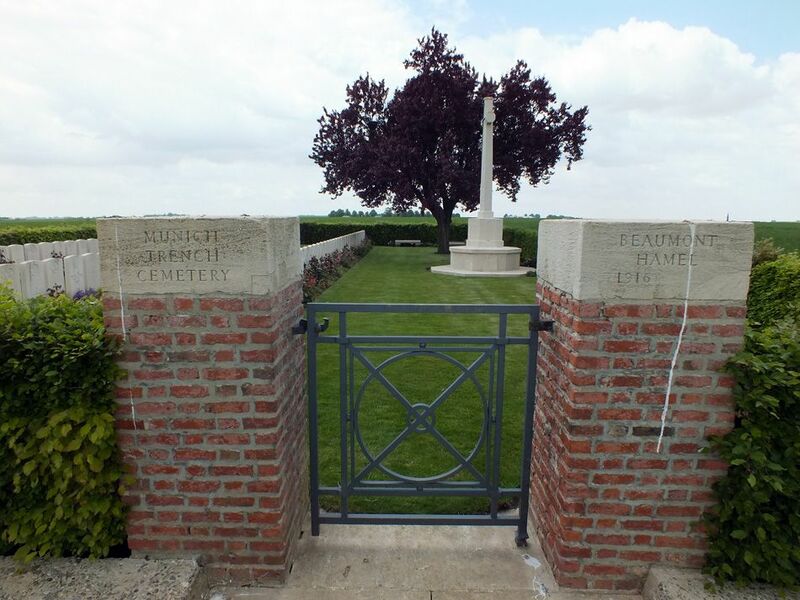 Munich Trench British Cemetery is about 135 metres west of Waggon road, which was the name given to the road running north of the village of Serre. Using the D919 from Arras to Amien you will drive through the villages of Bucquoy, Puisieux and Serre les Puisieux. On leaving Serre les Puisieux, 3 kilometres further along the D919 turn left onto the D174 following the signs for Auchonvillers. After 1.3 kilometres turn left onto the D163 in the direction of Beaumont. At the crossroads in Beaumont village, turn left following the CWGC sign for Munich Trench British Cemetery, which is about 1 kilometre further on. 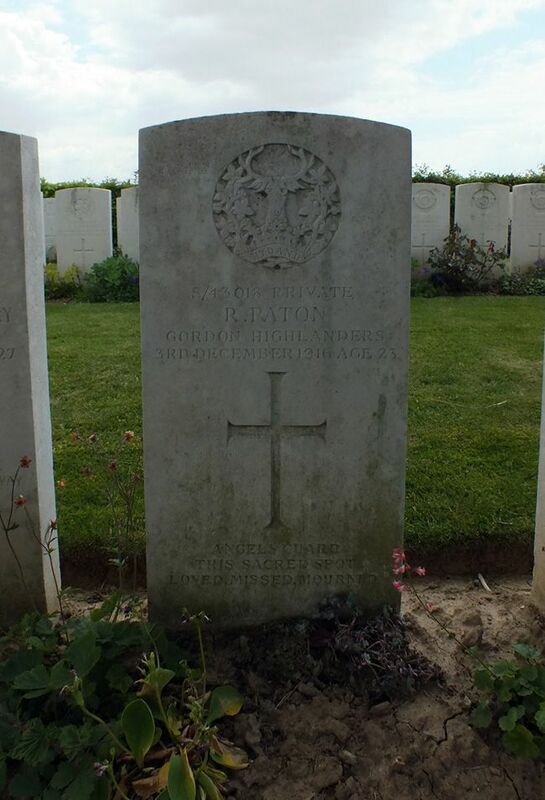 Beaumont-Hamel was captured in November 1916, in the Battle of the Ancre, and the graves in this cemetery are largely those of men who died at that time. 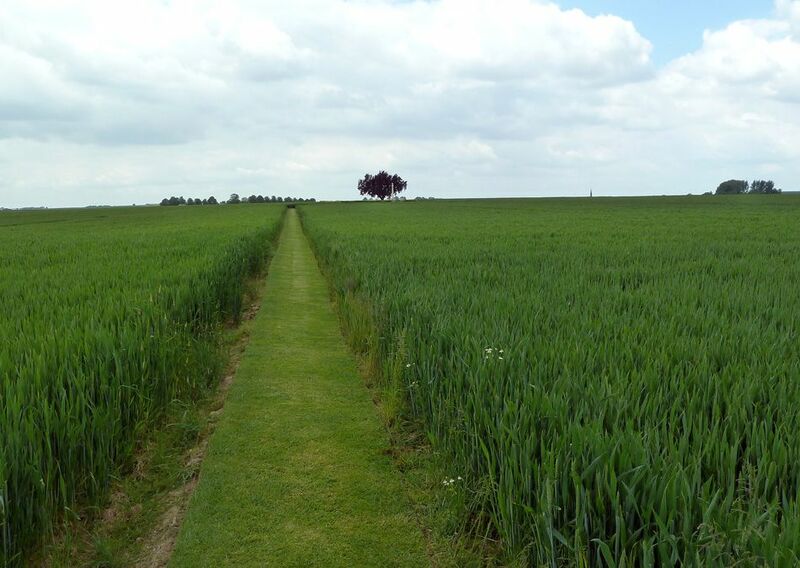 The burials were carried out by the V Corps in the spring of 1917, after the German withdrawal to the Hindenburg Line. 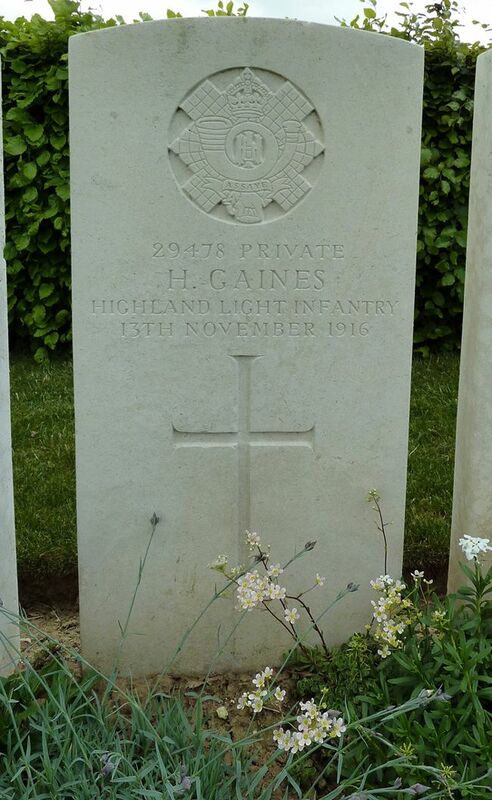 Munich Trench British Cemetery, originally V Corps Cemetery No. 8, was named from a German trench captured by the 7th Division on 11 January 1917. 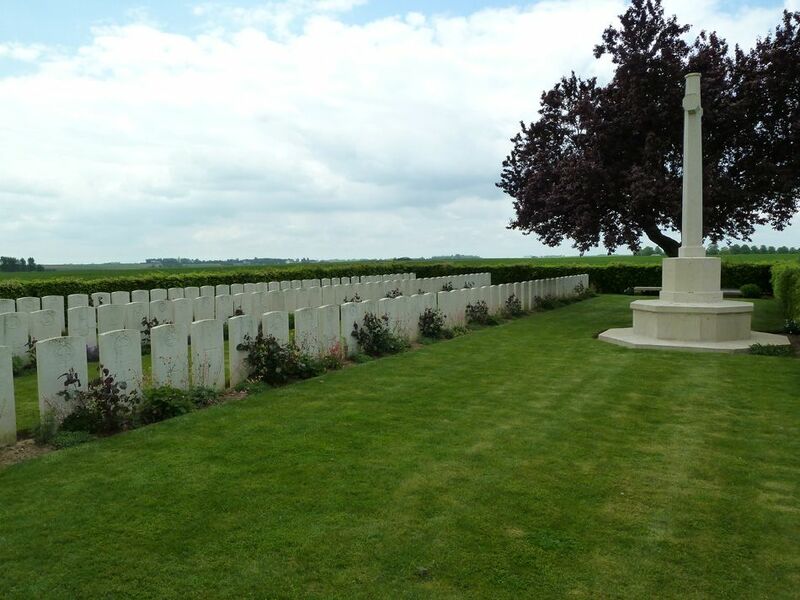 The cemetery contains 126 First World War burials, 28 of them unidentified. 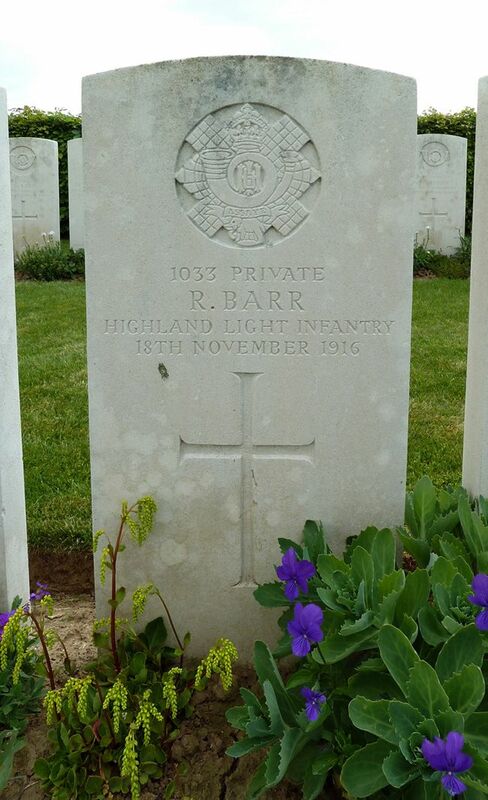 Additional Information: Son of Matthew Barr, of "Windward," Houston Rd., Bridge of Weir, Renfrewshire. Additional Information: Son of Mr. F. Gaines. Place of birth York (SNWM). 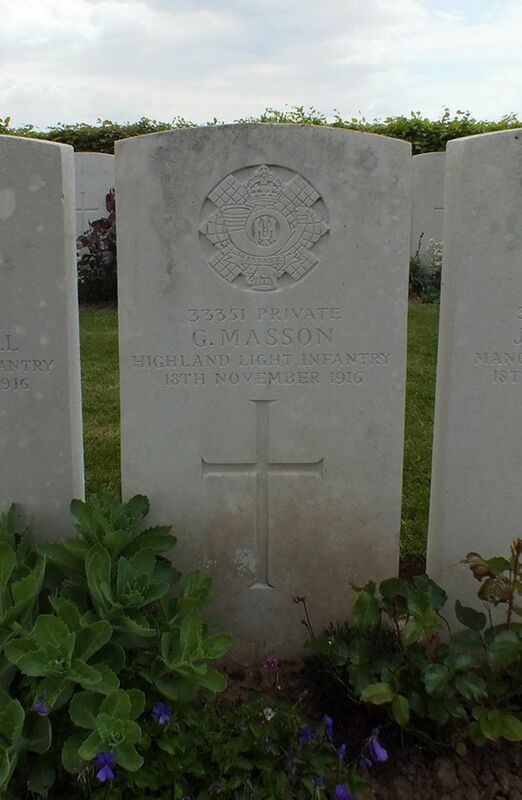 Additional Information: Son of Mr. A. Masson, of Dalachy, Aberdour, Fife. 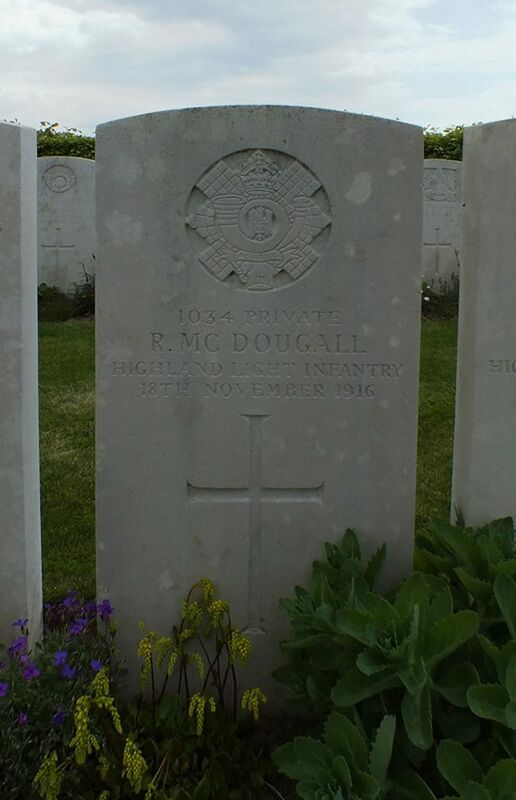 Additional Information: Husband of A. McDougall, of Whindyke, Dalserf, Ashgill, Lanarkshire. 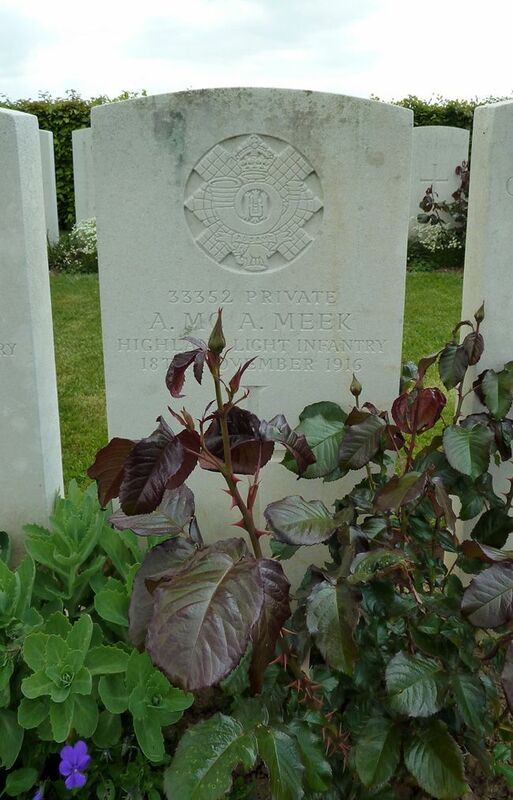 Additional Information: Husband of J. M. R. Meek, of 5, Ernest St., Arbroath. Additional Information: Son of George and Maggie Paton, of 25, Bloomfield Rd., Aberdeen. 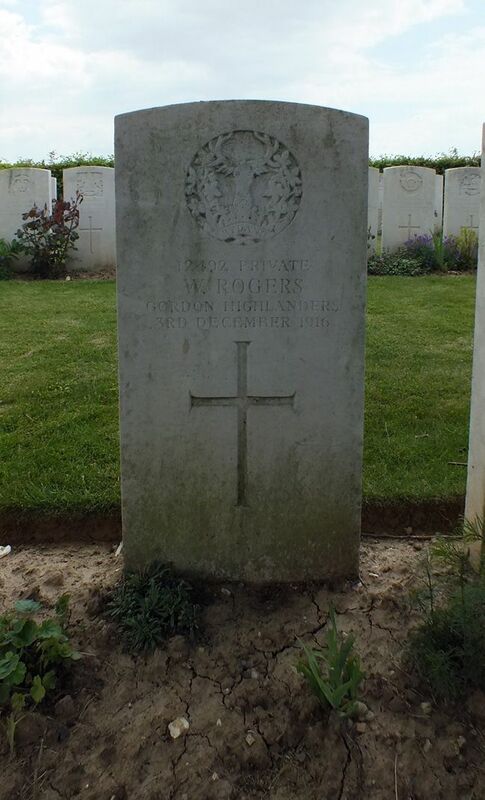 Additional Information: Son of George and Christina McCulloch Rogers, of Glasgow.